Home Articles What is Millimeter wave Technology? And Applications & Pros & Cons? Millimeter wave operate the frequency bands or spectrum from 30 GHz to 300 GHz. It is used for High –Speed wireless broadband communications as seen with the 802.11ad Wi-Gig standard-(spectrum 60 GHz, data rates 8Gbps). In the millimeter-wave range, data rates can reach up to 10 Gbps (more frequency) and more. The Mm Wave spectrum wavelength is 1mm to 10mm. it means millimeter waves are longer than infrared waves or x-rays(Shorter than microwaves or radio waves). Millimeter wave radar is affected due to interference from nearby electric poles, cellular towers, and Wi-Fi/cellular hotspot. Rain, fog, and any moisture in the air make signal attenuation very high, reducing transmission distances. These losses are greater at certain frequencies, coinciding with the mechanical resonant frequencies of the gas molecules. 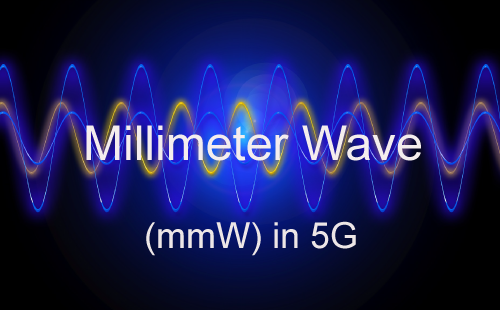 Presently, the frequency range of 5G millimeter wave can be used between 24GHz to 86GHz or up to 90 GHz. Many companies are testing and investigation in WLAN infrastructure with the support of millimeter waves. Millimeter Wave Technology is continually developing well in the coming decades.